In 1858, the Pikes Peak Gold Rush swept through the Pikes Peak Region when 100,000 gold seekers packed up and headed west in hopes of finding their fortune. The rush was embodied by the slogan "Pikes Peak or Bust!”- an homage to the beautiful mountain that guided the early prospectors to the region. 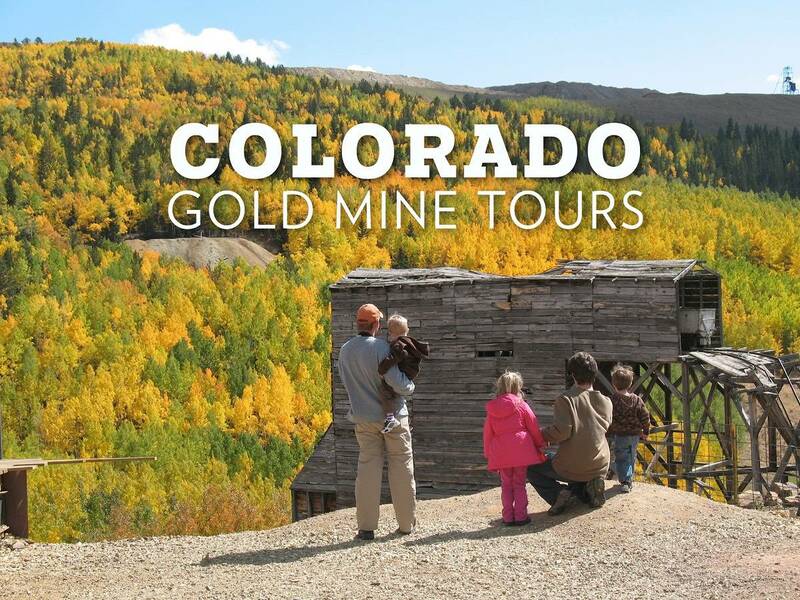 Now you too can strike it rich (in knowledge, of course) with a variety of historic and current-running Colorado gold mine tours. Descend underground as you partake in the only 1,000-foot vertical-shaft gold mine tour in the USA. Experience the “Old West” as it was for hard-rock gold miners, hear the air-powered mining equipment and discover gold veins. After the tour, you’ll even get a free gold ore specimen. Take a tour of a real, working gold mine! Gold mine tours offer the chance to see giant haul trucks, shovels and drill rigs in action in the large surface mine between Victor and Cripple Creek. All proceeds go to the Victor Lowell Thomas Museum. This non-profit museum may not have been a working gold mine, but it preserves the rich history of gold mining and brings it to life with real, working mining equipment. Experience operating multi-ton steam engines, a simulated gold mine, gold panning, the resident burros and nature explorations. After getting your fill of these great Colorado gold mine tours, get your hands dirty (and wet!) when you pan for gold or sluice for “gem stones” at one of these locations. Don’t forget to order a FREE Official Colorado Springs Visitor Guide to start planning your perfect Colorado Springs vacation.